Do you want to have your wedding reception in the same ballroom Frank Sinatra has performed in for hundreds of Hollywood’s elite? The Palm Springs Riviera has a ballroom with a massive capacity (we are talking 1,500 guests!) and a perfect entrance for an elephant during the Baraat. Your guests will love taking selfies in front of the illuminated wall in the reception area or the chic vignettes just off of the lobby, lounging at one of the coolest pools in the desert, or dining at Cicra 59. The guest rooms have some pretty awesome décor too! One of the most stunning views of the desert is found at The Ritz-Carlton, Rancho Mirage. This hotel boasts the luxury the Ritz-Carlton brand is known for, but with a more relaxed feel. The main lawn sits up on a bluff overlooking the desert floor making the perfect backdrop for your Mandap. The Ritz-Carlton Ballroom has a can accommodate up to 400 guests and gives off an opulent feel. If you love the element of water, this is the place for you! There is a waterfall in the lobby and gondolas that navigate through meandering waterways. Your ceremony can outside or inside and the Desert Ballroom can hold up to 1,800 guests and the Springs Ballroom up to 1,500. This is definitely a family friendly hotel with great pools and children’s activities. And an amazing course for the golf lovers. There is an abundance of event space at this resort as well, so you can have all of your events throughout the week here too. This resort has so much variety for event space; you could have all of your events for the entire week here. It is also family friendly with a fun swimming area just for little ones. The Celebrity Villa Lawn is a gorgeous outdoor space that can accommodate up to 700 guests for your ceremony or 450 for your dinner reception. The Grand Salon Ballroom is the largest indoor space that can accommodate up to 350 guests for dinner. The main valet area is one of my favorite photo spots in the desert and would be perfect for the start of the Baraat. The layout of this hotel is perfect for destination weddings (and was once one of the secret hideaways of Hollywood’s elite.) Hotel rooms are grouped around pools, so you can have your guests all staying in the same area to spend some time together. Your ceremony can be at one of my favorite spots known as “La Casa” that can hold up to 1,000 or the Main Lawn which can hold up to 450. The Fiesta Ballroom accommodates up to 1240 while the Flores Ballroom can accommodate up to 1,050. There is a variety of event space to choose from if you want to have all of your events for the week here, and it feels a lot more homelike than most hotels, so your guests will enjoy a nice, relaxing environment. 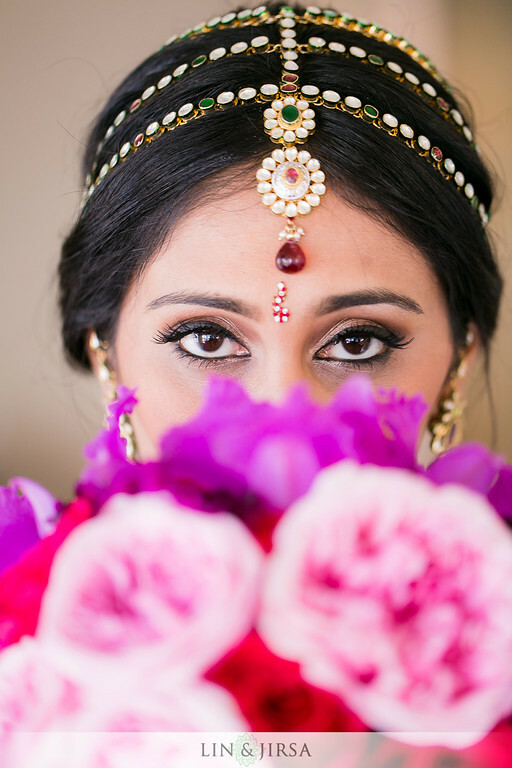 If you are considering having a South Asian wedding in Palm Springs, we have been doing large Indian weddings, working with couples from all over the globe for over a decade. We know how to incorporate ancient traditions into today’s modern weddings and have extensive experience working with fusion weddings as well. We’d be glad to assist you with creating unique looks for each event throughout your entire wedding celebration and assisting you to create one of the most memorable weddings your guests have ever attended.